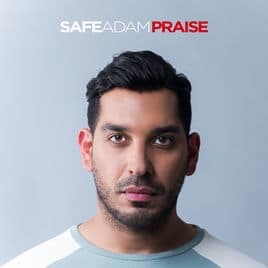 As the title track from the album, Praise had high expectations – and I wasn’t disappointed. This song has one simple message – Praise Allah. While the track has been kept simple lyrically, it subtly refers to key messages presented in the Quran and Hadith. Indeed we are taught to pray first thing in the morning, known as the Fajr prayer. He converted to Islam and became Muslim, however Allah did not accept it. Allah tells us that he will preserve his body as a lesson to mankind. “So this day We shall deliver your body (out from the sea) that you may be a sign to those who come after you! And verily, many among mankind are heedless of Our Ayaat’ (Yunus 10:92). The body of Pharaoh is still available to see at a museum in Egypt. Pharaoh asking for forgiveness while drowning (despite disbelieving) teaches us the importance of praising Allah in all situations. One of the names of Allah is ‘Al-Rahim‘, which means ‘the merciful‘. We are taught that the original Bible was from Allah, but to read with caution as people have changed the book. The miracle of Jesus walking on water is not contradicting to the Islamic belief and may therefore be the truth. Allah knows best. Safe has managed to convey deep meaning with a simple track. It’s no wonder he chose to name the album after this one. I really enjoyed listening to this one.